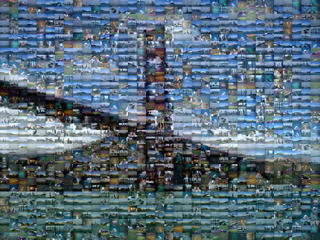 I found this cool program that will allow you to create mosaics from your collection of images. The one above is created from all my vacation pictures of which I don't have many. Obviously, if I had more pics, the quality would be a lot better. Click the image for a bigger version. 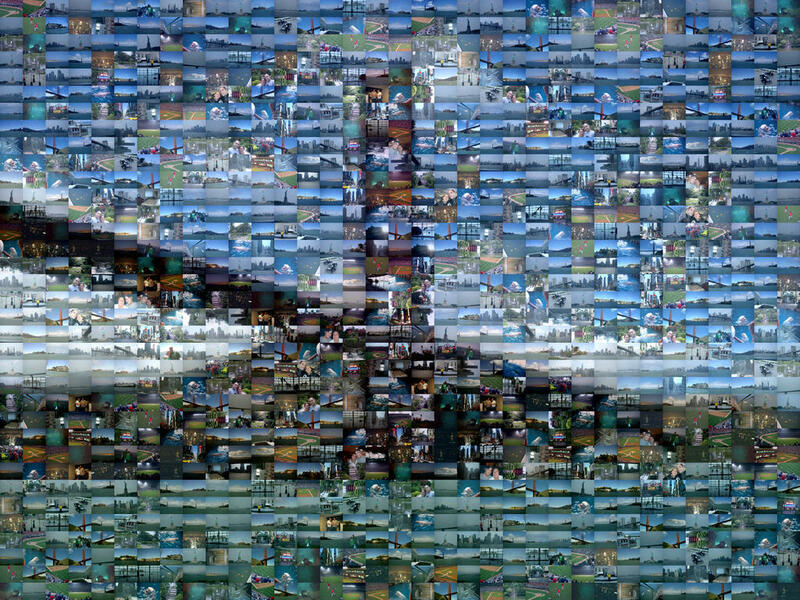 BTW: If you couldn't tell, this is a picture of the Golden Gate bridge. I took it from a catamaran, sailing in the bay. Not bad. But it needs to be able to pull photos from Flickr. It has an option to pull images off the internet, but I haven't tried that yet.